Fast Tag Search. New algorithm gets tag and comment search up to warp speed, even if you search large areas like e.g. your whole computer. Find all items on drive E: with a comment containing the word "India". In the above screenshot you see that it took 0.009 seconds to search all local drives for items tagged "Check!". Toolbar. New buttons "Zoom In" and "Zoom Out" let you control the font size of Tree, List, Catalog, and Address Bar. Toolbar. Now it can be scrolled. Drag it with left or right mouse button. Or wheel it. Drag fast and you get a bit of animation when you release the mouse button. Note that the feature is optional. 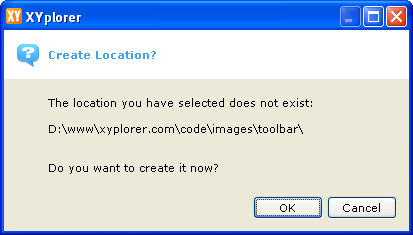 You have to enable it in the Customize Toolbar dialog. Toolbar. Now it has an overflow dropdown. 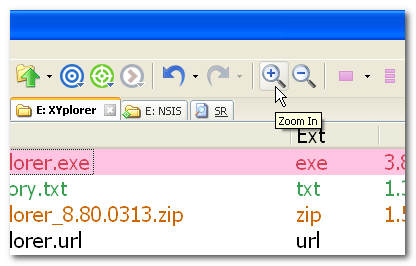 You can freely combine it with the toolbar scrolling feature. 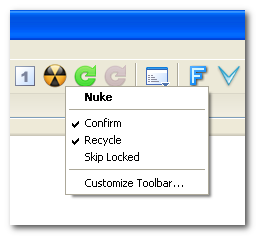 The Nuke button is now fully configurable via its right-click context menu giving you a one-click delete just the way you like it. New command "Paste Folder Structure" allows you to paste the folder structure (without any contained files) from folder(s) in the clipboard into the current path. Now you can hide the main menu by pressing Alt+Up (configurable). Preview. Added MTS (High-definition MPEG) and M2TS (Blu-ray) video files to preview. MTS: High-definition MPEG Transport Stream video format, commonly called "AVCHD" (Advanced Video Codec High Definition)used by Sony, Panasonic, and other HD camcorders; based on the MPEG-2 transport stream and supports 720p and 1080i HD video formats. M2TS: Video file saved in the high-definition Blu-ray BDAV format; used for saving video data on Blu-ray discs; based on the MPEG-2 transport stream and supports 720p and 1080i formats. BDAV stands for "Blu-ray Disc Audio/Visual," while the M2TS extension refers to "MPEG-2 Transport Stream." As always you just need the codec on your system to actually be able to preview above file types. 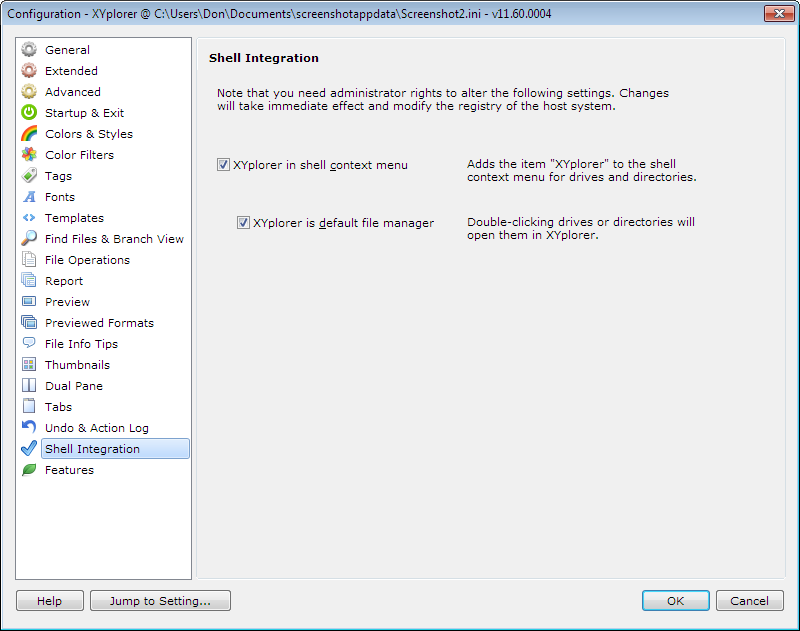 The shell will generate thumbnails for these files if the appropriate extensions are installed. 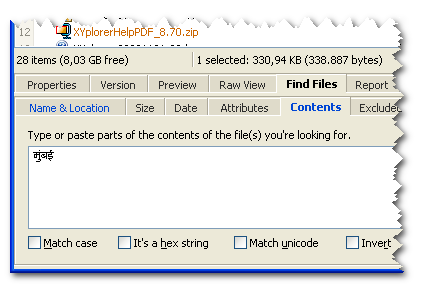 Create new folders right through the Address Bar: When you attempt to go to a non-existing location you are prompted to create it on the fly. Rename Files. 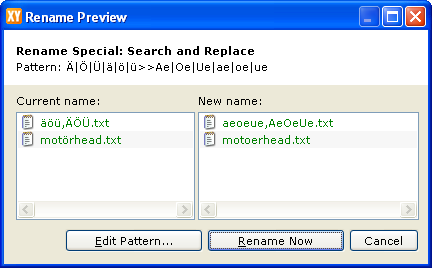 Now you can specify replacement lists like this one Ä|Ö|Ü|ä|ö|ü>>Ae|Oe|Ue|ae|oe|ue in Rename Special | Search and Replace and do any number of string-to-string replacements in all selected filenames in one go. 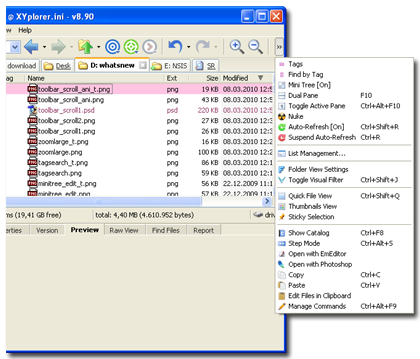 Find Files by Contents. Now supports Unicode text. 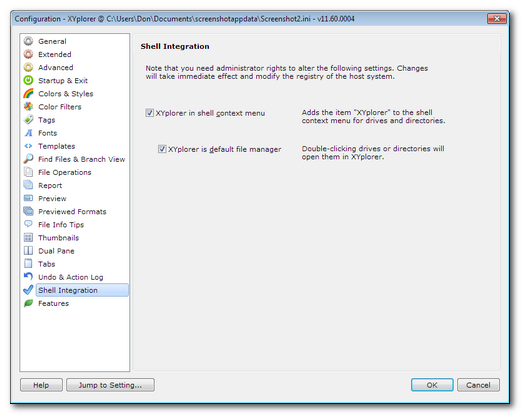 Shell Integration. Now you can make XYplorer the Default File Manager by simply ticking a checkbox, and thus easily replace Windows Explorer as default file manager. Untick the box to go back to Explorer at any time.